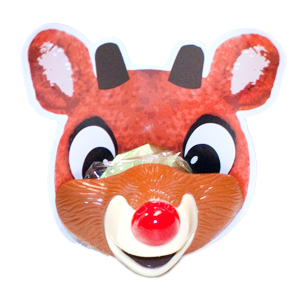 Try on your own Glossy Red Rudolph Nose and enjoy a delicious lollipop at the same time! 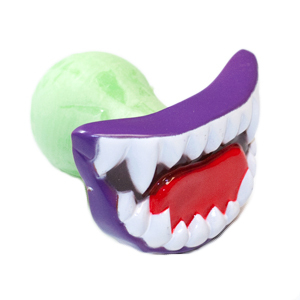 This ultra cool candy is so fun, you might even try to guide a few sleighs out there for kicks. 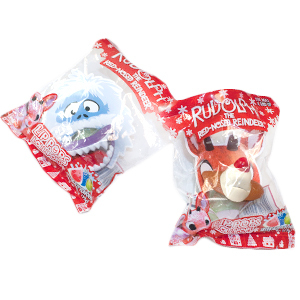 You can choose to be Rudolph or the lovable Snow Monster. Either set of chops is pretty darn cute and very holiday appropriate. Don't judge a book by it's cover as we've learned from the story of Rudolph. 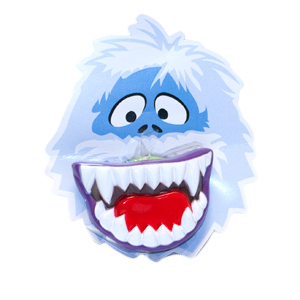 Get through all this fog and spread some cheer already! Absolutely delicious watermelon, blue raspberry, or green apple flavored lollipops!